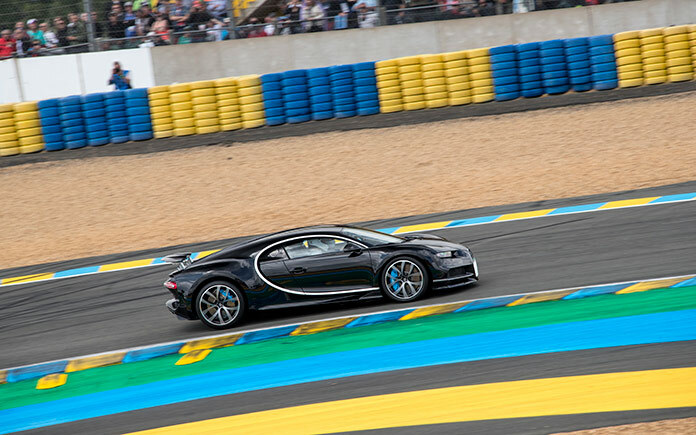 This weekend, Bugatti returned to the venue where the French super sports car brand once celebrated two of the greatest racing triumphs in its history; they won the Le Mans 24-hour race in 1937 and 1939. 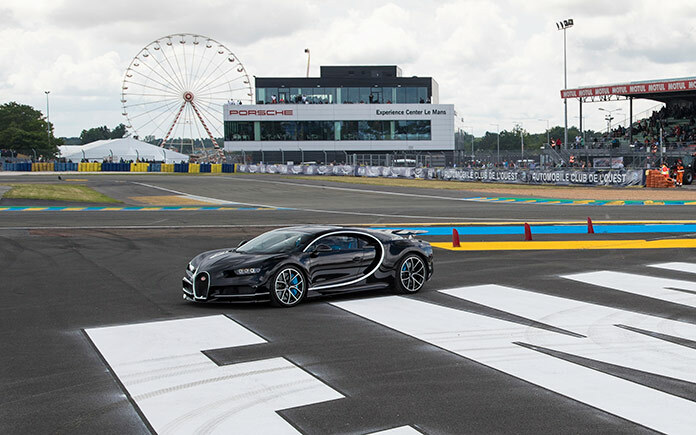 In honour of the legendary endurance race, Bugatti sent its latest model, the Chiron, to the “Circuit des 24 Heures”. 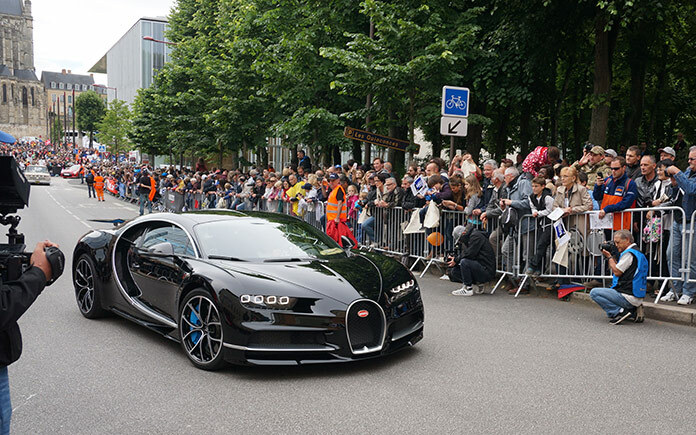 Before the start of the race, some 250,000 spectators saw the world’s most powerful, fastest, most exclusive and most luxurious production super sports car complete a parade lap. At the wheel was Wolfgang Dürheimer, President of Bugatti Automobiles S.A.S. 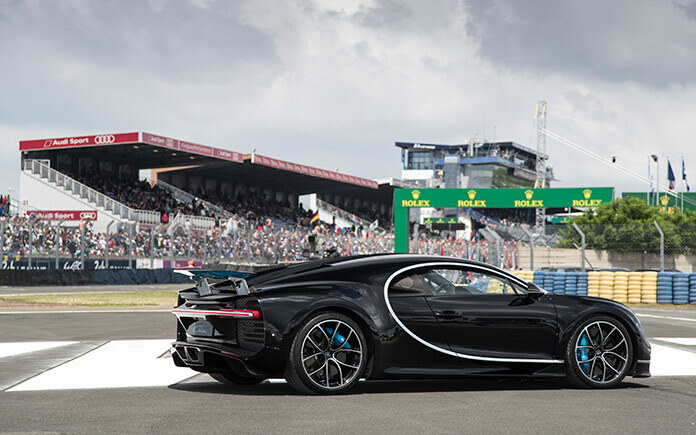 The Chiron reached a speed of almost 380 km/h and was as a result faster than the fastest race car of the weekend. 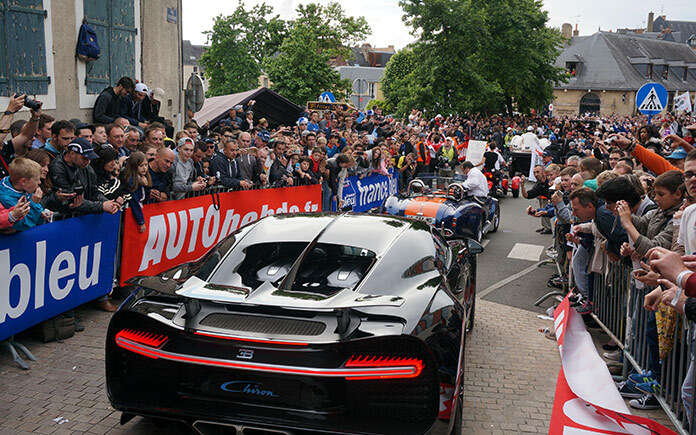 The day before, the 1,500 PS supercar excited thousands of racing fans at the drivers parade through Le Mans. 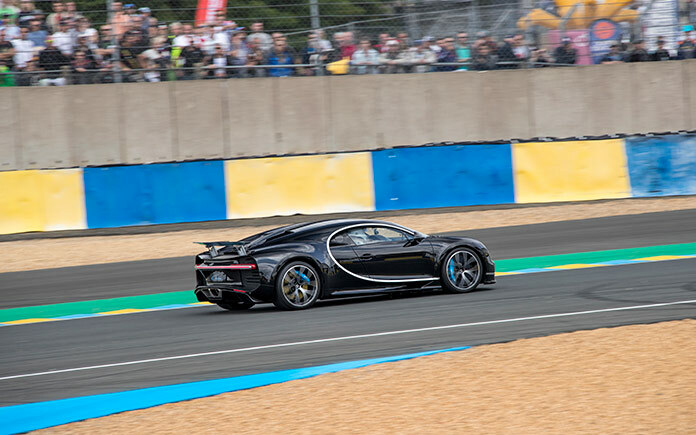 Its appearance at Le Mans was the first dynamic presentation of the Chiron in France, following its world debut at the Geneva International Motor show this March. With the Chiron, Bugatti has developed the world’s most powerful, fastest, most luxurious and most exclusive production super sports car. With a power output of 1,500 PS, unprecedented for a production vehicle, torque of 1,600 Nm at 2,000 to 6,000 rpm and many technical innovations, the Chiron sets standards in every respect. Its maximum speed, limited for road use, is 420 km/h. The Chiron is being produced in a limited series of 500 cars. Currently, orders for more than 200 vehicles have already been received. The base price is €2.4 million. The first vehicle is due to be delivered to a customer in the autumn of 2016. Bugatti won the 24 Hours of Le Mans twice. In 1937, Jean-Pierre Wimille and Robert Benoist in a Type 57G Tank were the first to cross the finishing line. This was the first time since 1926 that this key race had been won by a French vehicle, with a new distance record of 3,287.938 km and an average speed of 136.99 km/h. Two years later, Wimille repeated this achievement, together with Pierre Veyron, in a Type 57C Tank with a new distance record of 3,354.760 km and an average speed of 139.781 km/h. The permanent race track of the circuit is named after the legendary super sports car brand from Molsheim in Alsace, the “Circuit Bugatti”.